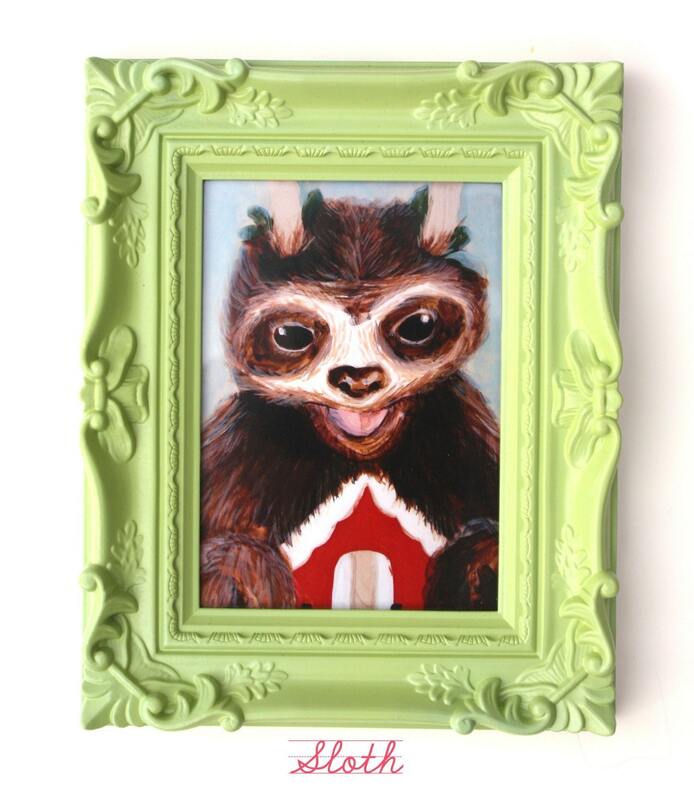 Sloth Protects Mi Casa is the first piece from Mary Beth's shop that I came across. How could I not have explored further? The best part about Mary Beth's Art is that it comes with the frame! For $20 or less! 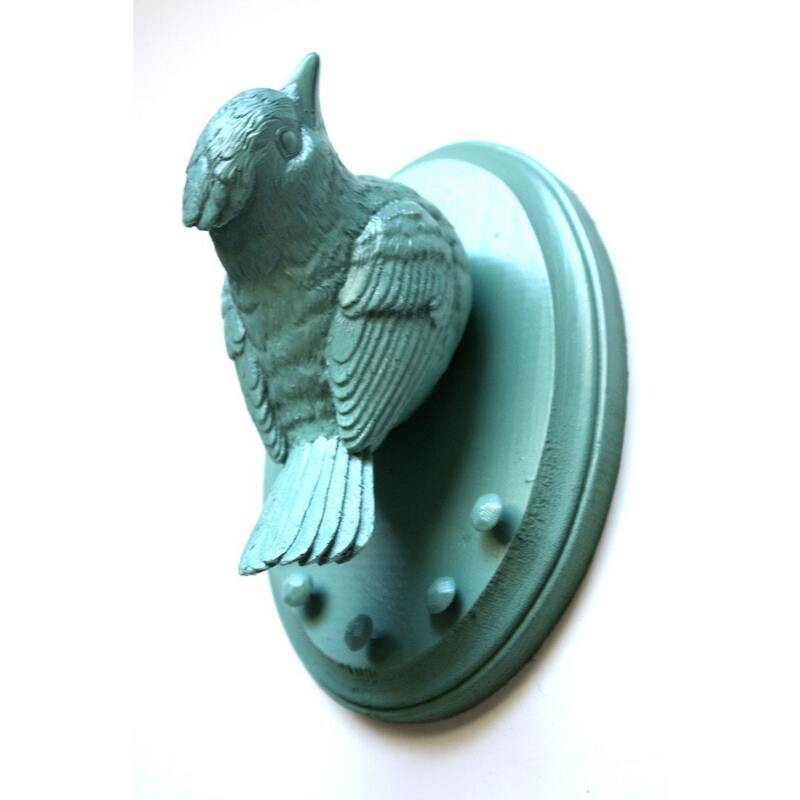 And when you're tossing a super cute print into your cart, how about adding a faux taxidermy birdie? 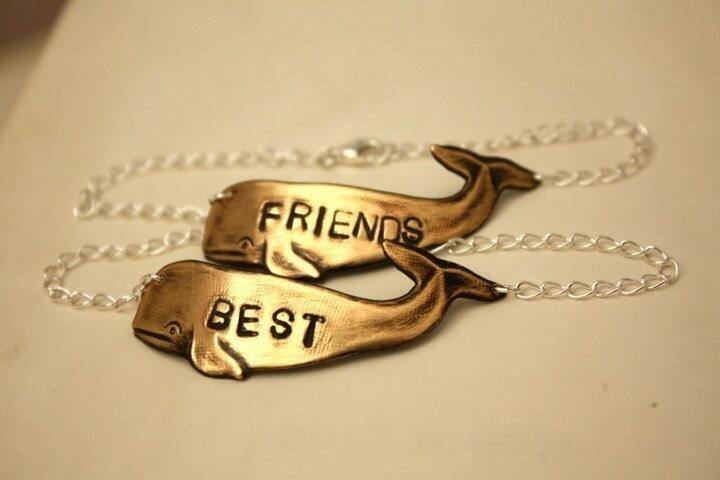 And maybe some awesome hand-stamped jewelry from I Adorn U? You can do it all with Mary Beth's shops! Tell me some basic info about yourself. My name is Mary Beth Heishman of Mary Beth's Art. I am a native of Las Vegas, Nevada and I have been creating art since I could walk. I am inspired by my environment and the other flora and fauna of the many countries I have visited. My current works are juxtapositions between humans, flora and various fauna. These contrasting subjects are merged together to form my surreal paintings and utilitarian sculpture. I have tried to blend the surrealism of Las Vegas with the naturalism of the desert to create a unique art form that combines the fantastic and unexpected. What kind of mediums do you use and why? I use acrylic, wood and resins. I love the way acrylic blend and the different mixing mediums I can use with... The wood is seen from my painting to the actual resting surfaces of my faux taxidermy birdies and bunnies. Wood just has a warmth and rigidity that canvas doesn't. What made you decide to sell on etsy? I really wanted to open an online store and with much investigation and friend suggestions I decided etsy was the best market for my wares. Why have a lonesome shop floating among millions of other things in cyber space when I can have a shop within an arts and crafts community. People come to etsy for the handmade. Where do you get your inspiration? Being an art teacher I have 9 months of inspiration while in Las Vegas and 3 months of inspiration traveling to far away lands. My inspiration comes from the great outdoors, whether it's Mojave desert or the Costa Rican Rain forest. I can spend hours and days walking around deserts and forests with my sketch book. What is your favorite music to craft by? I love crafting to LoveLikeFire and Stiff Little Fingers. When it's cold outside... I want to cook soups/stews with my husband and cuddle eating stews and rice. When I'm hungry... I eat Pho and fruits. When I need a boost... I touch my toes, make a tea and think of making extraordinary things. I wish I was/were... in San Francisco or Berkeley... The Bay calls me and "I left my heart in San Francisco, high on a hill." If I could give one gift to everyone I know, it would be... Having a safe and loving/caring home, family and environment. If the world's inhabitants had true nurturing. If I could have coffee with anyone, it would be... Leonardo da Vinci. If you were an animal, what would you be? A sloth or desert tortoise. I move slowly (ask my husband)... These are the happiest animals, they look like they're all smiling. Secret is slow down. What's your favorite piece of your own? My Inca Ribosomes painting, it was painted in acrylic on wood. It is my favorite work. The warmth of the wood combined with the cool colored birds. Also my use of the Incan stretched skulls and laced pomegranates. My favorite art teacher/best pal owns this now, I am very happy it's in great hands. What's your favorite piece not of your own? This is tough, I mostly buy from my super talented friends. I would say it is my Kristy Bishop and Su Limbert artworks. Kristy works in paint and textiles and Su works in ceramic plates and acrylic/oil canvases. Their works are as stunning as them. Mittens At Home and Cloud 9 Weddings & Papers. Cloud 9 makes me want to renew my vows every year. MaryBethHeishman.com (make sure to check out her gallery! the painted shoes and skateboard decks are amazing! 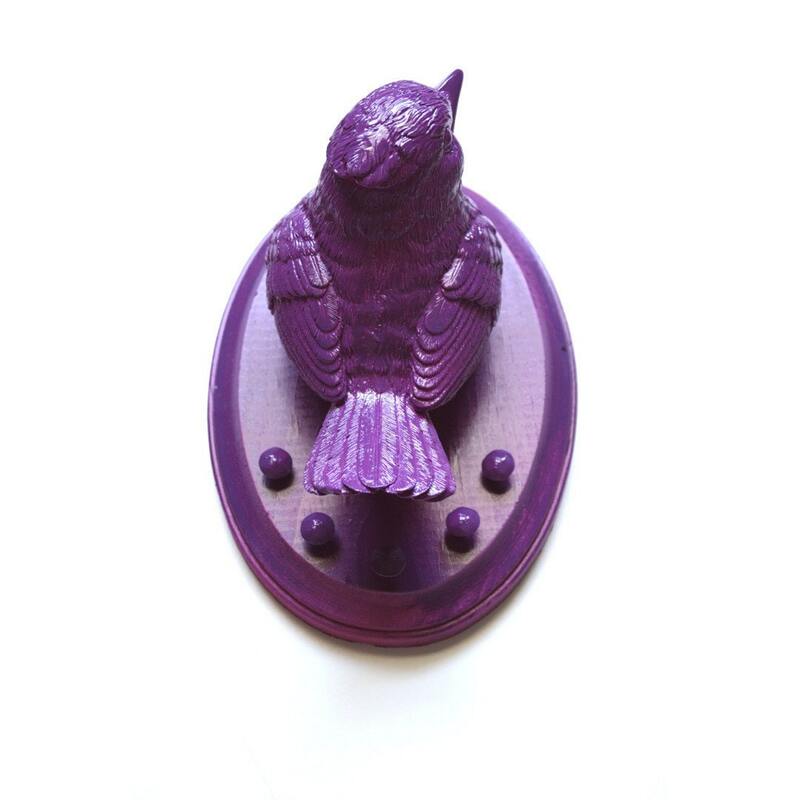 Mary Beth has graciously offered to giveaway one of her SUPER cute faux taxidermy birdies. You can use these beauties to hold jewelry, a scarf or two, maybe even a hanging picture frame. Or you can just display as a tongue in cheek decoration! Winner gets to choose the color! Become a Facebook fan of Mary Beth's jewelry shop, I Adorn U! - Head over to Mary Beth's Art on Etsy and tell me your favorite item! - Head over to I Adorn U on Etsy and tell me your favorite item! Fine print: Giveaway begins when it is posted and ends at 11:59pm pacific standard time September 1, 2010. A winner will be selected by a random number generator on September 2, 2010 and will be emailed promptly. Mary Beth will ship anywhere in the world! 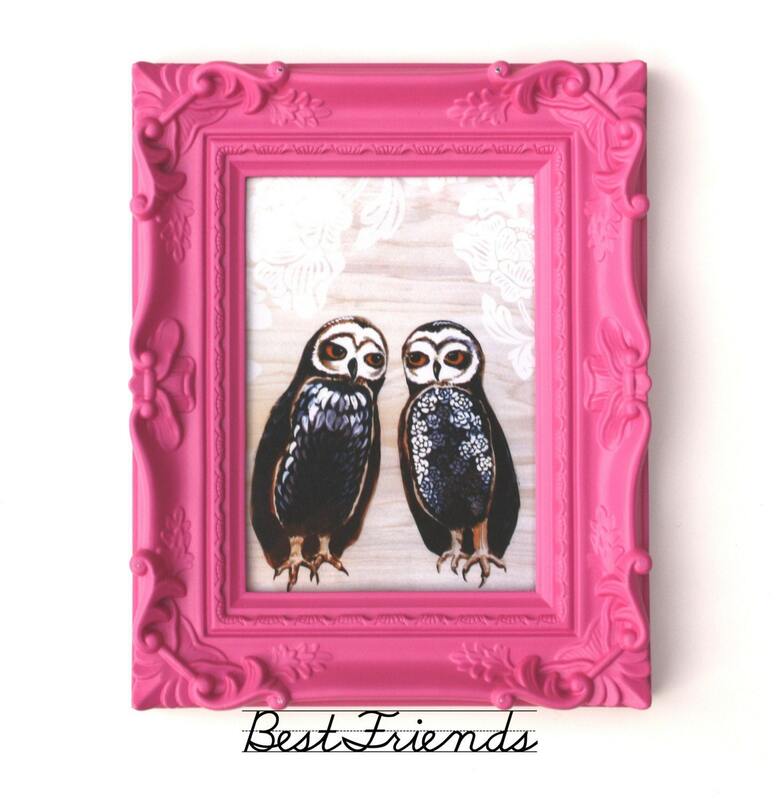 I love the pink frame with the two owls! 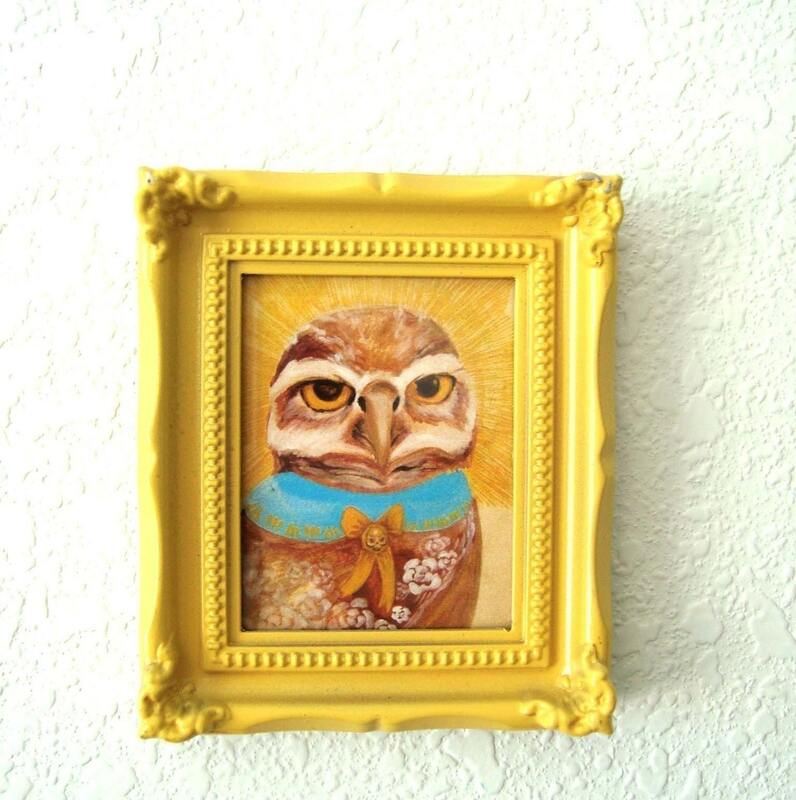 My fave from Mary Beth Art is "Best Buds Owls"
I became a facebook fan of Marybeth's jewelry shop. I also signed up for Kate and Oli's mailing list. 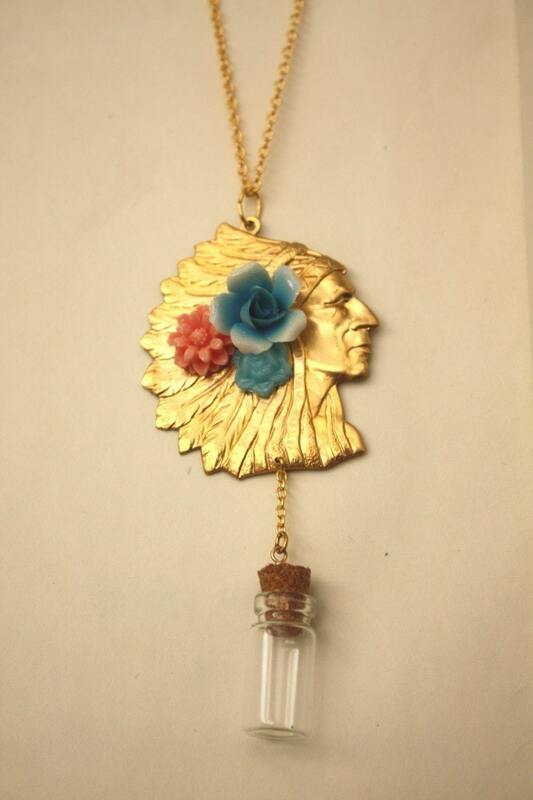 I became a "Facebook fan of Mary Beth's jewelry shop, I Adorn U!" i LOVE "Lime OWL framed print"
i really loved "Initial Me Bridal Party" it's so beautiful and it would make a great gift to my daughter one day with her initial! The Aqua Jewelry Holder is my favorite thing from Mary Beth's shop! The banjo necklace is my fave from her jewelry shop! facebook fan! 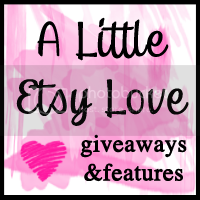 woo hoo sweet giveaway! 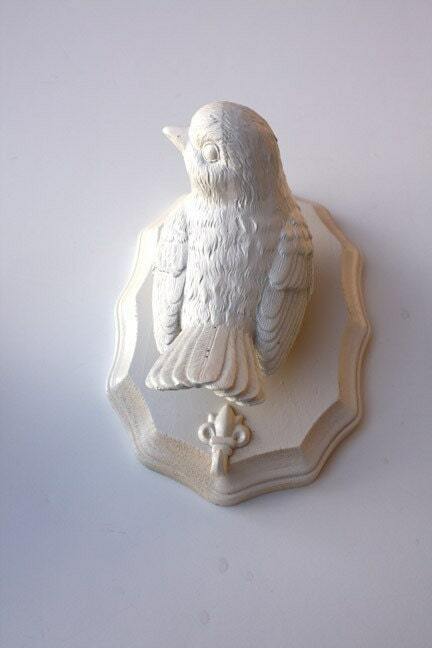 love this taxidermy bird jewelry holder in white! 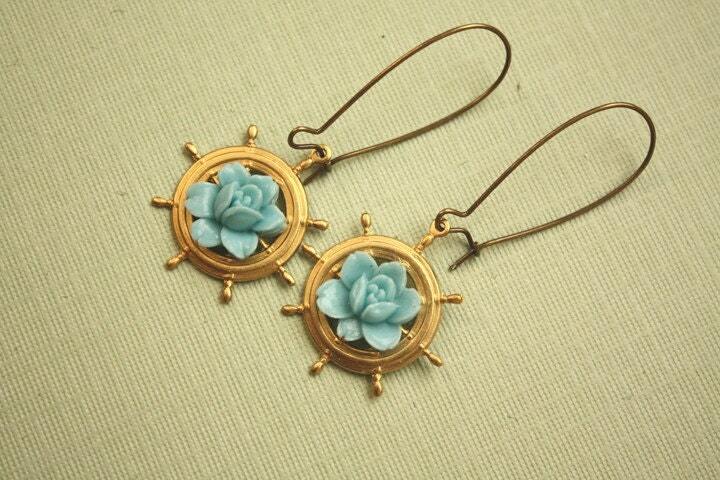 these something blue earrings by i adorn you are soooo sweet!! i also like I adorn you on facebook! 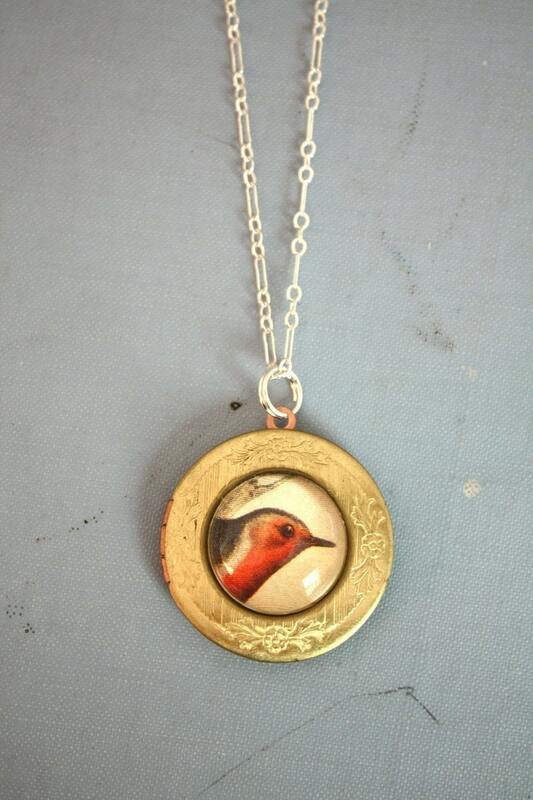 Facebook fan of I Adorn U Tazim D.
The Foxy Lady Necklace caught my eye from the iadornu Esty shop! Subscribed to the Kath & Oli newsletter! 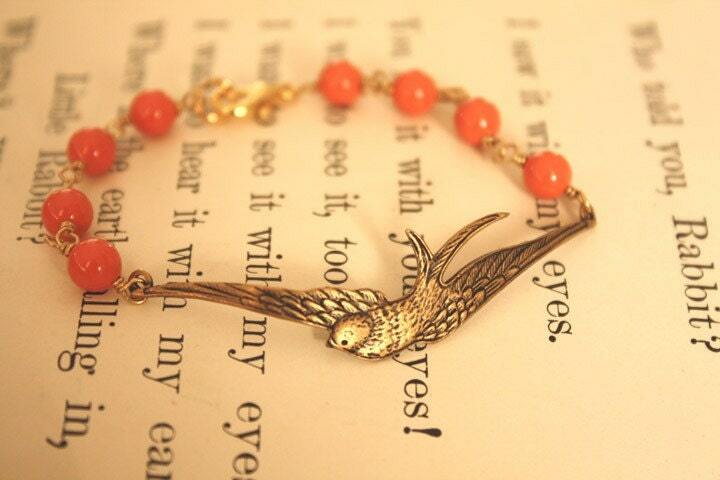 I am a Facebook fan of Mary Beth's jewelry shop, I Adorn U! What a great idea! Thank you for the chance to win one of your jewelry keepers! 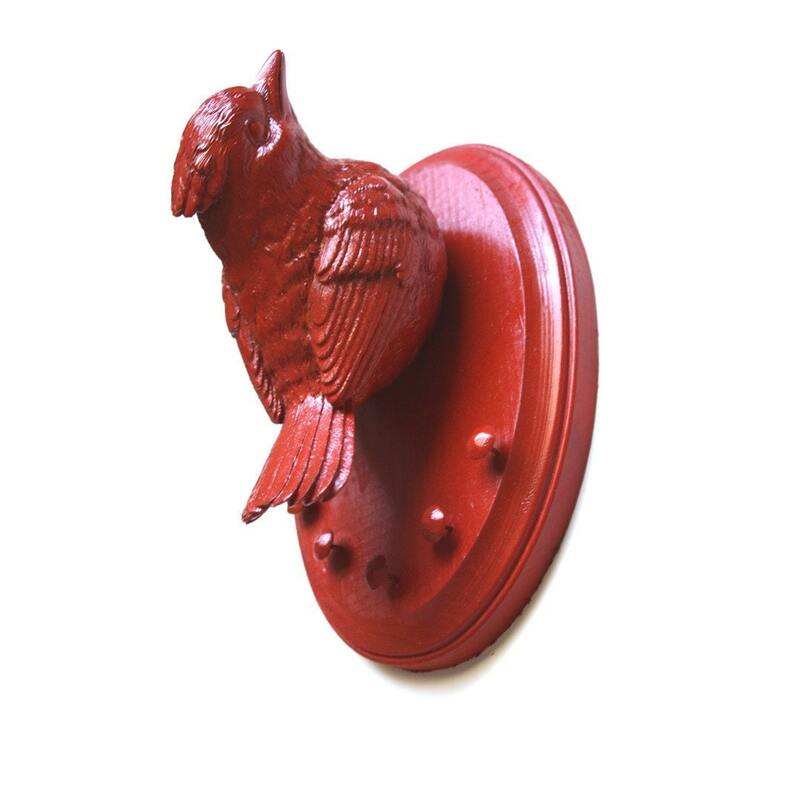 I really like the Plum Birdie Jewelry Holder! I follow ichbinseins on twitter, as @afineday. 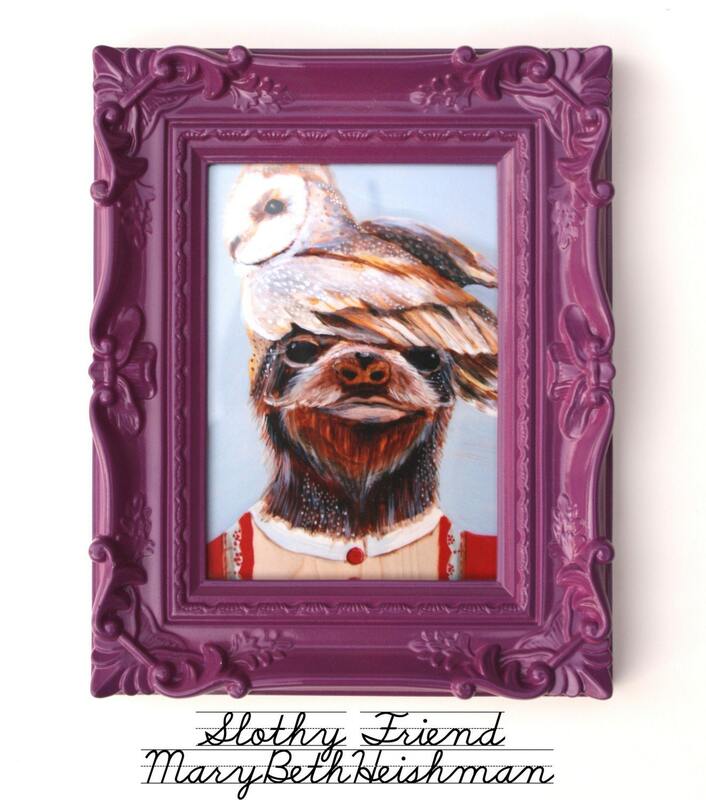 I like the "Slothy Friend"
Fabulous shop! Loved the review and interview. I did go to FB and fanned under my actual name. I LOVE these jewelry holders!!! I'm fan of Kate and Oli on facebook (Joanna P.
I'm a Facebook fan of Mary Beth's jewelry shop, I Adorn U! i'm a a Facebook fan of Kate and Oli. I have become a FB fan of both sites. I'm a Facebook fan! My username is wunderfraulein. 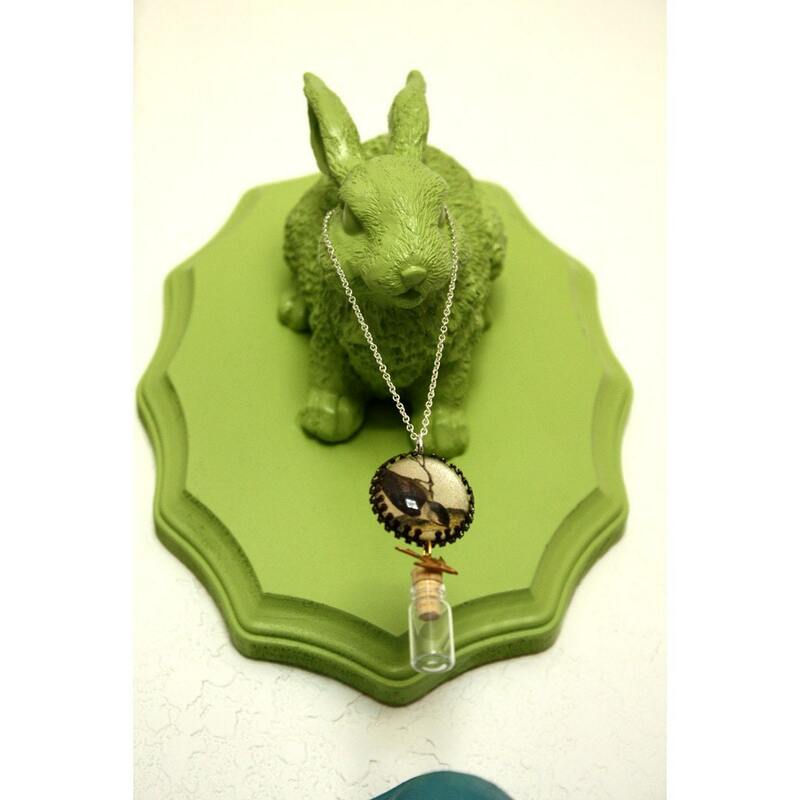 My favorite item at MaryBeth'sArt is the Jewelry Holder Candy Apple Green Bunny. I've signed up for the mailing list! I'm a Facebook fan of Kate & Oli. :) My username is wunderfraulein. I follow with Google Connect and have become a fan of I Adore U. 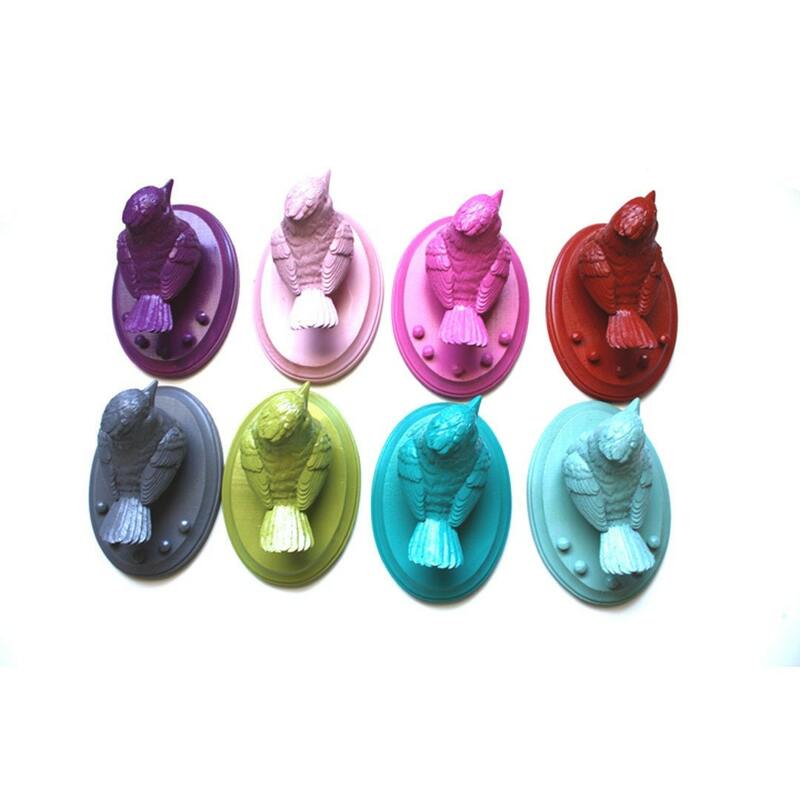 My favourite on MaryBethsArt is the Green Bunny Jewellery Holder. On I Adorn U, I love the Initials Bunny necklace. I'm a FB fan of IAdornU (Kelli Flanders Robinson). I'm a FB fan of Kate and Oil (Kelli Flanders Robinson). 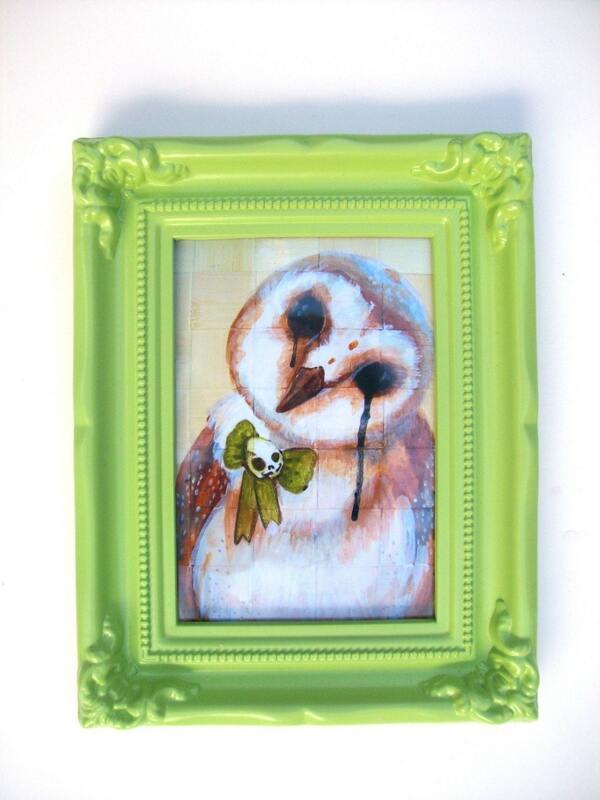 My favorite item at Mary Beth's Art is the Lime OWL framed print. I love owls and she has so many to pick from.